On Friday the 4th of March, Years 3 to 6 at Crowcombe Primary School were incredibly lucky to receive a visit from Elliott Talbott, a leading aeronautical engineer who works for Facebook. Elliott is the father of a couple of our pupils and was keen to share some of his knowledge with the children, as well as hoping to inspire them to become engineers themselves. Facebook is currently trying to extend high-speed data coverage to areas of the world that have very limited access to the internet. Elliott, who has years of experience in designing and testing aircraft, is working to build a solar powered aircraft that will stay aloft for months at a time, providing internet access to the population on the earth below. 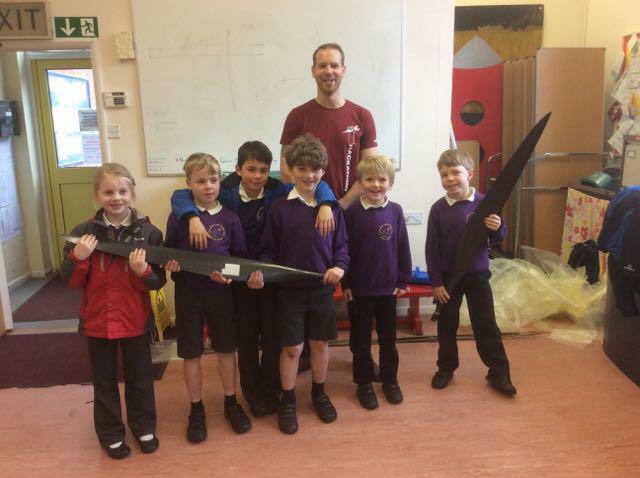 His team have been working on this huge, lightweight 'flying wing' for two years now and are going to be test flying it this year. 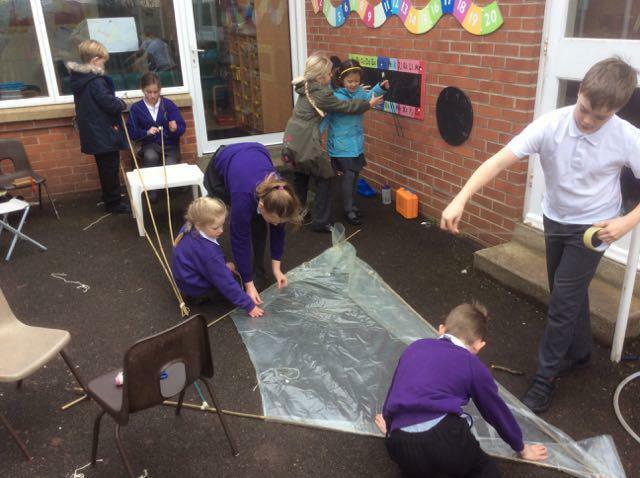 Elliott explained simple aeronautics to the children, talking a little about engineering, and showed us some of the amazing materials and designs that his team are working with; and then he set the children a challenge! 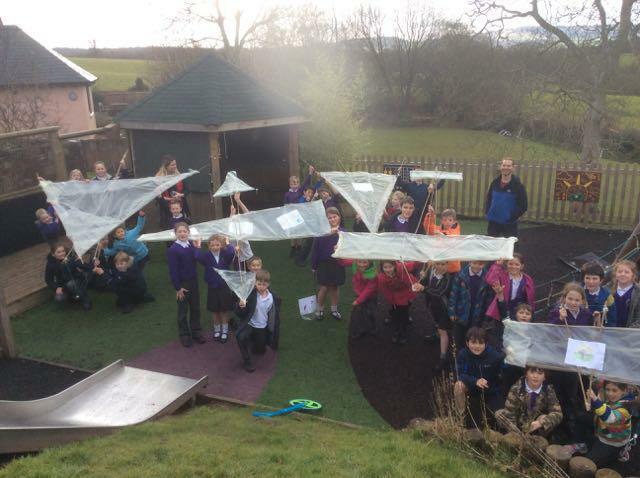 In five teams, the children had one day to design, build and test their own gliders. Elliot provided light canes, bamboo canes, string, and plastic sheeting, and then set the children off! With the help of Elliot and the school staff our pupils worked first on paper and then with the materials and by 3:00pm all the teams were ready for their test flights. It was a tough task and every team deserves praise for their teamwork and perseverence because each of their gliders was a solid success! Over two flights the winning glider covered an amazing 38m - congratulations to the 'Autogliders' and their beautifully stable dart-shaped creation! It was a great, hand-on day, with the children learning a huge breadthe of knowledge and skills, from the purpose of ailerons to the importance of symmetry in flight engineering. They even learned how to lash two rods together with string - an important life skill in itself! Thanks to Elliot for a brilliant day, and as ever, to our pupils for rising to the challenge with respect, responsibility and great enthusiasm! We've hung our five gliders up in the school hall - do come in and take a look. They're awesome!